Follows Todd Ray and his family as they operate their Venice Beach business. 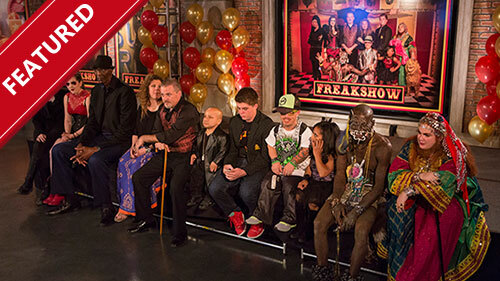 New talent will be scouted to join the show, and cameras will take you out of the business and deeper into the personal lives of the Rays and their extended family to document the everyday struggles of balancing life, love and the "Freakshow." In the first episode of the second season, "Freakshow Auditions": as Todd expands the Freakshow, he needs to find new performers. Garry "Stretch" Turner, with the stretchiest skin in the world, makes an appearance. The second season starts 10 years later: Gangaa is seen taking care of everyone in the house and also patiently waiting for Sagar to return home. Sagar seems to be mister popular and that's not all, he also now has a girlfriend. How will Gangaa react to hearing this? Later, Amma calls the priest over to try and find a girl for Pulkit to marry. Sagar and Jhanvi try to play match maker for Sahil, not knowing who he would choose out of all Sagar's female friends. Sometimes life will surprise you. This series follows a unique ensemble whose paths cross and their life stories intertwine in curious ways. We find several of them share the same birthday, and so much more than anyone would expect, which will challenge your everyday presumptions about the people you think you know. 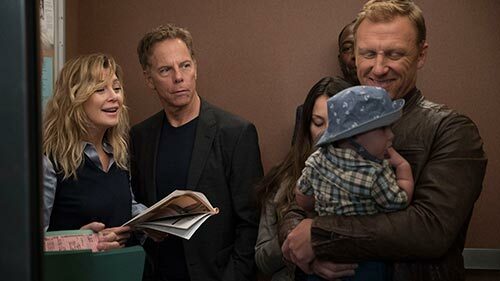 In the Season 3 premiere, "Nine Bucks": Randall, Kate and Kevin find themselves on new paths as they each celebrate their 38th birthday. A group of scientists and gerontologists try a revolutionary experiment by bringing 10 elderly care home residents into a classroom of 10 preschoolers. With social isolation being one of the biggest problems for those in elderly care homes, the experiment will try to determine if this simple act will improve lives. At the end of the six weeks, the scientists and gerontologists hope to scientifically prove that combining these two generations can improve the overall health of the elderly. It was an era that brought us the iconic Star Wars and Big Bird on Sesame Street, a decade that had us dancing to Disco beats and listening to Punk Rock or singing along to Grandma Got Run Over By A Reindeer. 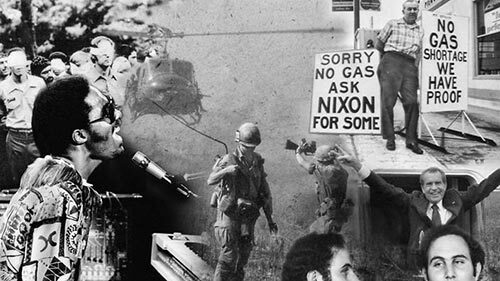 It was also a tumultuous time when America lost its first war, endured two energy crises, and a President resigned following an unprecedented political scandal. Television tackled once taboo subjects, and there was a sexual revolution. Serial murders and other violent crime kept the USA on edge, and bombings, hijackings and the taking of Iranian hostages introduced the world to the modern face of terrorism. New York City, Earth's least habitable environment, is home to a host of downtrodden creatures. Whether it's lovelorn rats, gender-questioning pigeons or aging bedbugs in the midst of a midlife crisis, the awkward small talk, moral ambiguity and existential woes of these non-human urbanites prove startlingly similar to our own. In the Season 2 premiere: While stuck in an animal testing lab, rats Mike and Phil enter a love triangle with their imaginary friend, which inadvertently reveals the truth of their situation. Two fleas discuss their basketball dreams and ponder life while stuck on a monkey's back and nn algae questions its existence. Packed with captivating mysteries, Death in Paradise returns for an eighth season of impossible murders on the beautiful and exotic Caribbean island of Saint Marie. Ardal O'Hanlon returns as detective Jack Mooney. Filmed on the French-Caribbean island of Guadeloupe, the eighth season will continue to keep you guessing with intriguing mysteries, cunning plot twists and a star-studded array of guest cast. Best Houses brings to life the heart and soul of everything house and home. Join Gary Takle, Bessie Kay and some of Australia's keenest home enthusiasts with an all access pass into some of the most exciting and visually stunning houses in the country. From sprawling country estates to urban homes in compact spaces, Best Houses gets an up-close look inside some of the most inspiring dwellings around, while in-depth interviews allow them to meet the owners and professionals who have created them. Whether you have a small budget or money is of no concern, this series has something for everyone. During the first hour of the two-hour season premiere, the doctors at Grey Sloan Memorial vie for a new position. Meredith is seemingly distracted and struggles to stay focused, and Maggie finds herself the keeper of a big secret while Amelia and Owen try to figure out their relationship. Meanwhile, Jo and Alex's honeymoon doesn't go exactly as planned. All newborns must immediately assimilate two fundamental notions: recognizing their mother as individuals of their own species, and learn to master the body they are discovering. In this series we follow each stage of these younglings growing up. We'll witness their first steps out in the wild, nursing moments, see them grow up, feeding, being educated whether collectively or among siblings. Now that Mike is officially recognised as a lawyer and has accepted Harvey's offer to return to the firm, Season 7 will see the team back together again at Pearson Specter Litt - each dealing with their own struggles as they adjust to a new world order without Jessica. In the Season 7 premiere, "Skin the Game": Mike returns to Pearson Specter Litt as Harvey takes the reins. Louis manages the new class of associates while Donna and Rachel find their places.